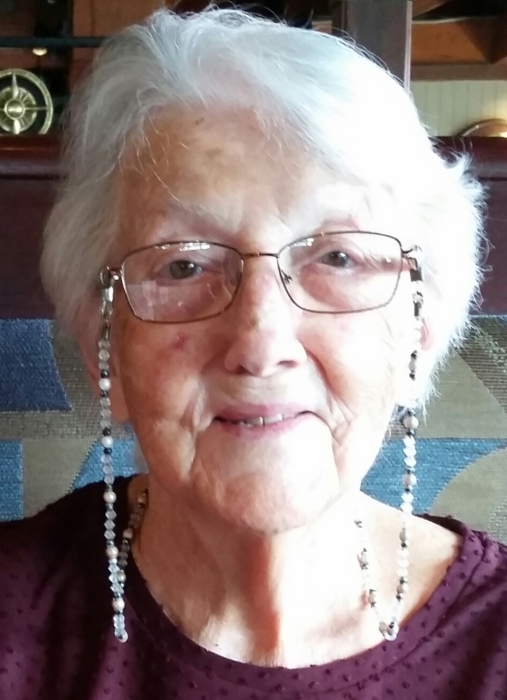 Ann Dickie Webber, 86, of Inglis, FL, formerly of St. Petersburg, died at her daughter's home in Inglis, under the care of her loving family and Vitas Healthcare, on April 9, 2019. Ann is survived by her son, Roger (Heidi) of Bayou Vista, TX; two daughters, Terri O'Neill (Jim) of Inglis, and Linda Wilson (Jim) of Inglis; five grandchildren; and two great-grandchildren. She was predeceased by her oldest son, Scott, and her husband of 62 years, Jim. Ann was born in Worcester, MA, to the late Franklin Dickie and Inez Romkey Dickie, where she lived until marrying Jim Webber, who was serving in the United States Marine Corps. Ann and Jim raised their family throughout the United States, with Jim retiring from the U.S. Coast Guard in 1975. Ann and her husband owned several small businesses in St. Petersburg, including Jim's Babalu Bar and Grill. They enjoyed 13+ years on the road as full-time RVers, travelling the United States and Canada, and settled in Inglis in 1999. Ann was active in the Episcopal Church wherever she happened to be, especially at Holy Cross in St. Petersburg. Her beautiful voice was a wonderful and integral part of the choir. Ann was a thoughtful and loving daughter, sister, wife and mother; a steadfast cornerstone of her family. She will be missed by all who knew and loved her. In lieu of flowers, the family requests donations be made to Alzheimer’s Association.